George Washington named Maurice Joseph its full-time head coach on Monday after he signed a five-year contract with the Colonials. Joseph became the interim head coach for George Washington after Mike Lonergan was abruptly fired before the start of the season. Having lost a number of graduates and getting thrown into the position at the last minute, Joseph took his team to a 20 win season with a very impressive 6th place finish in the Atlantic 10 Conference. The Colonials lost in the 2nd round of the CBI to Illinois-Chicago. 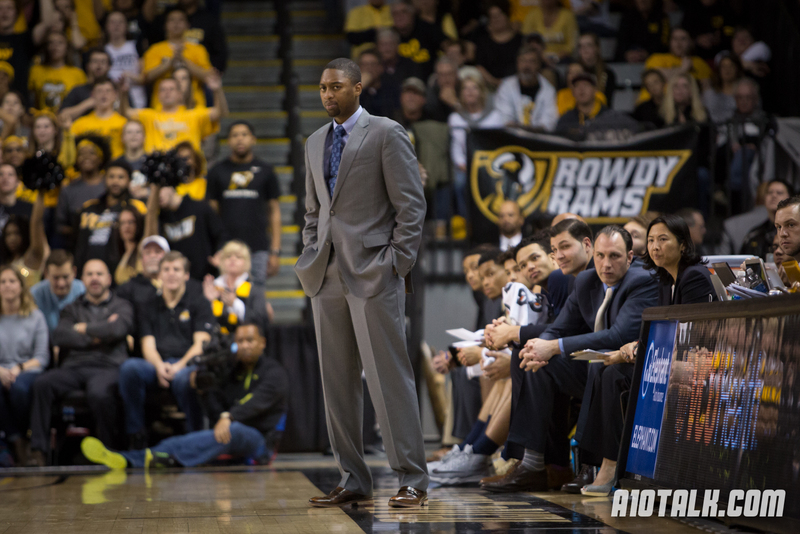 Coach Joseph displayed quite a bit of talent and know-how towards the end of the season, winning 5 straight games including an upset over the Dayton Flyers. While Joseph will lose stud senior Tyler Cavanaugh, he’ll keep Yuta Watanabe and rising sophomores Jair Bolden, Arnaldo Toro, and Collin Smith. Unfortunately for George Washington, Jaren Sina has decided to leave a year early to go play basketball overseas. Kevin Marfo will no longer be with the program either. While Maurice Joseph has some building blocks, he’s undoubtedly going to be tested in his first year as George Washington’s full-time head coach. Not only is he going to have to deliver in a difficult Atlantic 10 Conference, but he’s going to have to bring in recruits to a school that lost quite a bit of popularity due to Mike Lonergan. All in all, this seems like a great hire for the Colonials. Follow @A10TalkGW and check out our George Washington message boards.